5 December 2018 — Top politicians and officials from across the world will gather in Marrakech, Morocco this weekend, ahead of a major conference convened by the UN, to formally adopt an all-inclusive, extensive global agreement aimed at making migration safer, and more dignified for all. WFP/Jonathan Dumont | “Trocha” illegal river crossing. Colombia-Venezuela border near Cúcuta, Colombia, one of the main entry points for people crossing from Venezuela into Colombia. 20 September 2018. The non-binding Global Compact is grounded in values of State sovereignty, responsibility-sharing, non-discrimination, and human rights. It recognizes that a cooperative approach is needed to optimize the overall benefits of migration, while also mitigating its risks and challenges for individuals and communities in countries of origin, transit and destination. With more than 68 million forcibly on the move today, migrants and refugees have made headlines across the globe in recent years; from the refugee crisis in Europe, to the migrant caravans hailing from Central America and heading to the southern borders of the United States. Regular migrants, irregular migrants, and refugees…What’s the difference? Regular migrants represent the “overwhelming majority of people who cross borders,” Arbour added in a recent interview with UN News. While irregular migration “is the situation of people who are in a country, but whose status is not in conformity with national requirements”, the vast majority of them, explains the senior UN migration official, have actually entered the country legally, perhaps with a tourist or a student visa, and then extended their stay: “They can be regularized, or if not, they need to be returned to their country of origin,” she said. Refugees, on the other hand according to the UN Refugees Agency (UNHCR), is someone who has been forced to flee his or her country because of persecution, war or violence. They have “a well-founded fear of persecution for reasons of race, religion, nationality, political opinion or membership in a particular social group”. What’s at stake for those on the move and their communities? The latest data from UN migration agency IOM, shows that so far this year 3,323 people have died or gone missing on migratory routes across the globe, the majority in the Mediterranean Sea, where thousands continue to attempt the crossing to mainland Europe, mainly from Africa and Asia. Migration is becoming harder and harder, especially where Europe is concerned. The IOM highlightedan incident, where a Spanish fishing boat, the “Nuestra Madre Loreto,” was stuck at sea for over a week after rescuing 12 migrants who sailed from Libya on a dinghy in early November. No EU nation agreed to grant the migrants authorization to land, according to Spanish news reports. The Global Compact, which was first agreed by UN Member States on July 13th, is a comprehensive document to better manage international migration, address its challenges, and strengthen migrants’ rights while contributing to sustainable development. Noting that “migration has been part of the human experience throughout history,” and recognizing it is a source of prosperity, innovation and sustainable development in a modern globalized world, the Compact expresses the collective commitment of member states to improve cooperation on international migration. 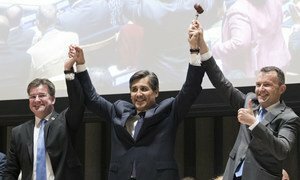 The Compact clearly “acknowledges that no State can address migration alone, and upholds its sovereignty and its obligations under international law,” and therefore presents a non-legally binding, cooperative framework that builds on the commitments agreed upon by the States themselves two years prior in the New York Declaration for Refugees and Migrants. “I think that their foreign policy and the spirit of multilateralism is pretty seriously affected if they, in a sense disengage from a document that they’ve agreed to just a few months ago. So, I think it reflects very poorly on those who participated in what were actual negotiations,” Mr. Arbour told UN News. Migration is a human phenomenon…Why address it now? Human migration is not a new phenomenon, in fact, humans have always moved around from one place to another throughout history. 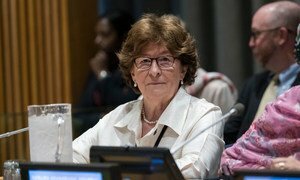 But the world has seen a major increase in the number of migrants lately, which is likely to increase due to climate change, said Ms. Arbour. On December 10th, the Universal Declaration of Human Rights (UDHR) turns 70, and the Office of the High Commissioner for Human Rights (OHCHR) will celebrate the 70th anniversary by holding a side event showcasing opportunities for businesses of all sizes and sectors to strengthen and scale up their efforts on human rights. The Marrakech Conference will also see the official launch of the Migration Network, by the UN Secretary-General António Guterres. This body will ensure effective and coherent system‑wide support to the implementation of the Global Compact, with the International Organization for Migration(IOM) taking the lead role. Other UN agencies, which have a migration mandate or aspect, will be part of the Network. 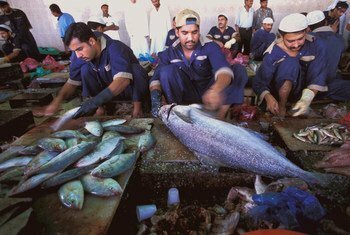 This includes the UN Office on Drugs and Crime (UNODC) that deals with smuggling and trafficking, the United Nations Development Programme (UNDP), and the UN Refugees Agency (UNHCR). 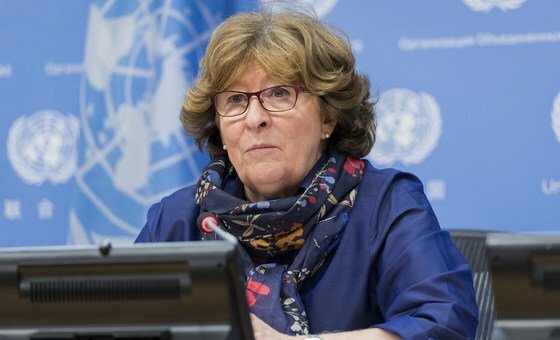 While UNHCR deals with refugees, “there are often overlaps between refugees and migrants and mixed flows of population,” said Ms. Arbour, asserting that “all these UN agencies that have an interest in the issue will come together to try to maximize a collaborative approach.” (SOURCE: UN News).